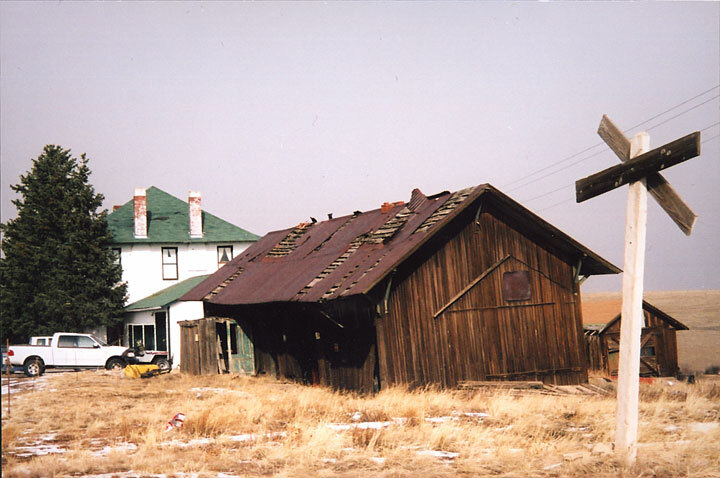 The Como Depot is one of three surviving structures, also including a hotel and roundhouse, from a major Denver, South Park and Pacific Railroad complex. In 1879, the railroad stretched from Denver to reach Como, where a switch and maintenance site was developed for the famous narrow-gauge Boreas Pass Line into Breckenridge. 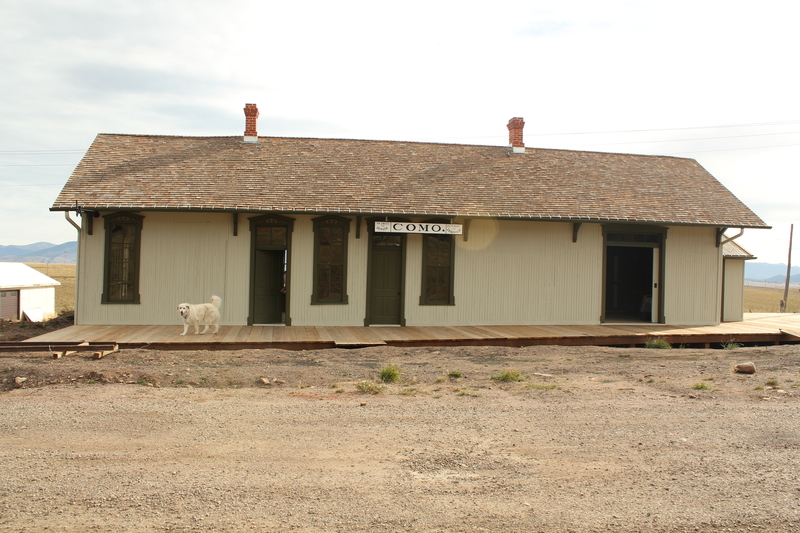 On the National Register of Historic Places, the depot’s existence can be traced as far back as 1886. Although nondescript from a distance, the depot boasts original freight doors, a telegraph office, freight and ticket rooms, original interior paint, telegraph wires, interior window and door pediments, doors, and fixtures. The town of Como was established in 1859 and inhabited by Italian and Chinese immigrants. The town itself is named after Como di Lago, a town in northern Italy. When the town began to grow, a route was constructed over Boreas Pass, descending to Breckenridge, up Fremont Pass, and down into Leadville. Train service operated twenty-four hours a day and the town grew exponentially. In 1937, the rail line was abandoned and the town began to decline. The depot, which is sandwiched between the historic Denver, South Park, and Pacific Railroad Roundhouse and the Como Hotel – is the focus of new events by the Park County’s Heritage Tourism program. The Depot and Hotel were acquired in March of 2008 by preservation friendly owners who have spearheaded restoration of the building. Colorado Preservation, Inc held its first annual Endangered Places Weekend Workshop at the Depot where volunteers worked vigorously for four days to stabilize the building. This included cleaning, bracing, re-roofing, and boarding of windows and doors so that the structure could survive the winters while funds were gathered for its restoration. Since the workshop, Colorado Preservation, Inc. began managing funds from the State Historical Fund, the National Trust for Historic Preservation, and other local contributions. Recent restoration efforts by Older than Dirt Construction restored the Depot’s west elevation and realigned the Depot to its original position. The floors have been leveled, existing elements repaired, and significant missing components reconstructed. The Denver, South Park & Pacific Historical Society and many additional volunteers helped to reserve this historic resource. In 2018, for the first time in 80 years, a train will run through Como to commemorate the occasion. This building was officially a SAVE in 2015.